An absolute godsend for Halloween fans, Scream Factory's exhaustive 15 disc set includes all 8 films in the original franchise plus Rob Zombie's two remakes, which isn't in and of itself remarkable as they had all been available as individual Blu-rays at one point or another. However, the sheer amount of special features collected here is staggering, including theatrical, TV, and other alternate cuts of many of the films. But to top it all off, the real Holy Grail for Halloween fans is the long rumored, never before seen Producers Cut of Halloween: The Curse of Michael Myers, which addresses many of the problems in what is widely considered to be the weakest entry in the original franchise. This is the set horror fans have been waiting for, and it delivers in spades. Any franchise would be proud of such a definitive set. 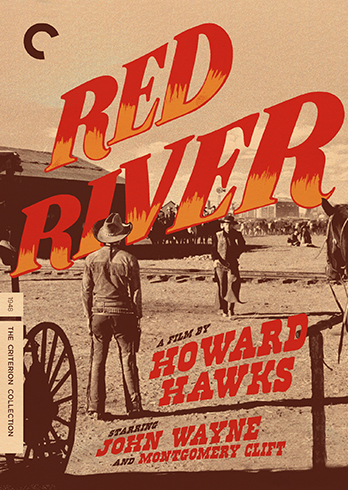 The folks at the Criterion Collection can always be depended upon to deliver the goods, but they really outdid themselves with their release of Howard Hawks' Red River (1948). A massive 4 disc set (including Borden Chase's previously out of print novel, "Blazing Guns on the Chisolm Trail," which the film was based on) that includes both the theatrical cut and the longer pre-release roadshow version of the film, Hawks' western masterpiece comes to vivid life in strikingly crisp 1080p black and white. The film cast John Wayne as a kind of anti-hero, a deeply flawed man who represents a kind of archaic, outdated sense of masculinity. In short - he's a bully, an unusual kind of character for Wayne to play, but that's also what makes it one of his greatest roles. In this epic tale of a cattle drive on the Chisolm trail serves as a sweeping backdrop for a growing conflict between an ambitious cattle baron and his adopted son - the ways of the younger generation pushing aside the ways of the old. It's both poignant and thrilling, grand and intimate, and one of the finest westerns ever made. There are few labels as dedicated to preserving and releasing important, overlooked films as Milestone Films. Founded by Dennis Doros and Amy Heller, Milestone has previously released such forgotten masterpieces as Killer of Sheep and On The Bowery, and after a spirited fundraising campaign have released two documentaries by Shirley Clarke, Portrait of Jason and Ornette: Made in America, on home video for the very first time, packed to the gills with Criterion level bonus features. Ingmar Bergman called Portrait of Jason "the most extraordinary film I've seen in my life." And it's certainly an incredible piece of work. Jason Holliday, born Aaron Payne, a flamboyantly gay black man living out and proud in the 1960s, serves as the subject of this essential landmark of queer cinema. 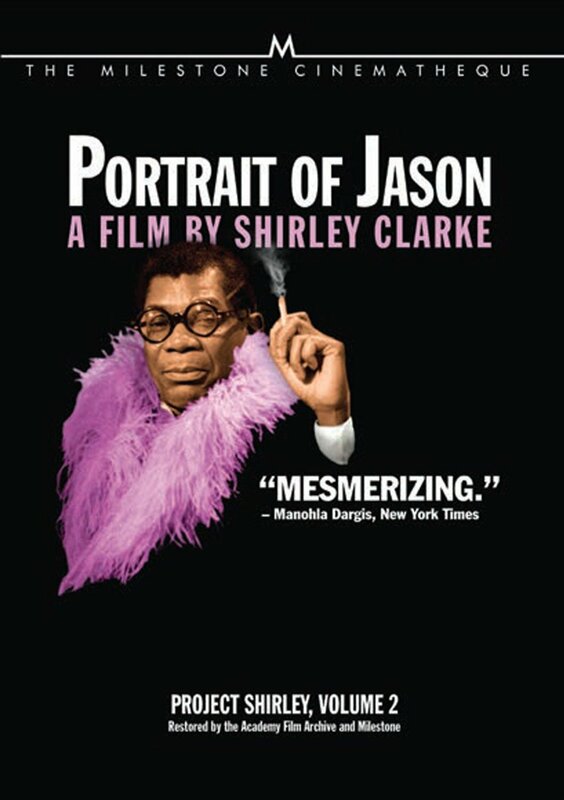 Portrait of Jason came at a time when homosexuality was still very much behind closed doors, and LGBT people weren't explicitly represented in cinema at all, it feels somehow revolutionary to see such an unapologetically gay man spinning fantastic tales of his life as a house boy, hustler, and performer in the era of free love. By the end, however, we are no longer sure what is Jason's real life and what is just part of the elaborate performance of his life. Who was the real Jason? We may never know. Clark's film often frames Jason out of focus, just out of reach, a fascinating enigma seen through the haze of celluloid, a lie at 24 frames per second. 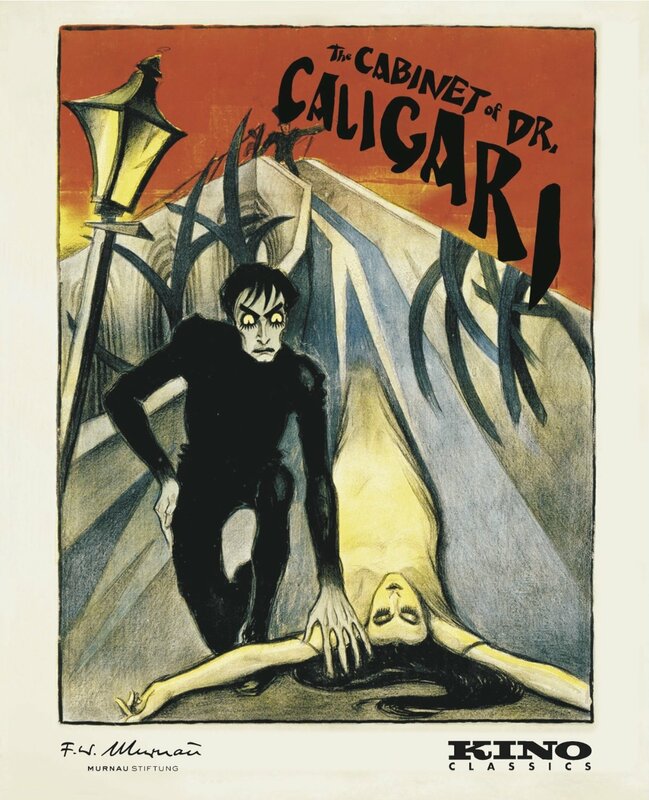 There are few more important or more influential horror films in cinematic history than Robert Wiene's German Expressionist masterpiece, The Cabinet of Dr. Caligari. The film that started the Expressionist movement, Caligari is a frenzied, stylish nightmare about a mad psychiatrist and his murderous somnambulist, Cesar. From the dynamic, dreamlike design to the oft-copied twist, Caligari has never been equaled. From a technical standpoint, the new 4K Blu-ray restoration is jaw-dropping. The images have been so cleaned up and sharpened that it's almost like seeing the 94 year old film through new eyes. Gone are the scratches and dirt accumulated over the last century, freeing the film from the ravages of time and emerging with new and vibrant life.The Expressionists sought to convey inner feelings in visual ways, and there have never been a more palpable evocation of madness than here. The outrageous sets, the haunting use of early color filters all pop with a renewed vigor. This is a must have disc not only for true horror fans, but for fans of great cinema. This is a masterpiece that has finally gotten the Blu-ray treatment it so richly deserves. This remake of the 1958 B-movie classic ramps up the action and the gore, with moderate success. The effects are still pretty impressive for the most part, and the film has a pretty good understanding about what made the original such a success, even if it does head into generic action territory near the end. It's a darker film than the original, to be sure, and I actually think the Blob is more interesting as a mindless mass than an unstoppable killing machine with a mind of its own. As remakes go, however, The Blob is pretty strong. But the quality of the film itself isn't why this is here. It's here because of Twilight Time, the speciality Blu-ray label that has done such an amazing job of digging up long neglected catalog titles from the major studios and releasing them in limited edition Blu-rays for the first time. 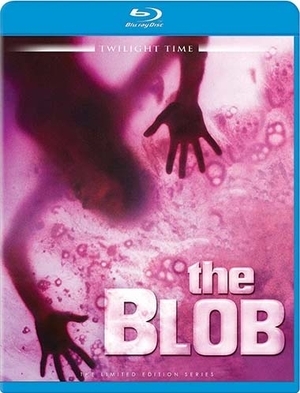 The special features may not be particularly expanded, but just having these films on Blu-ray is a treat, and for a cult hit like The Blob, that's something major for fans. This old movie has never looked better. Flicker Alley may not have the deep catalogue that Criterion has, but their Blu-Ray presentations are every bit as comprehensive and impressive as their more famous counterparts. 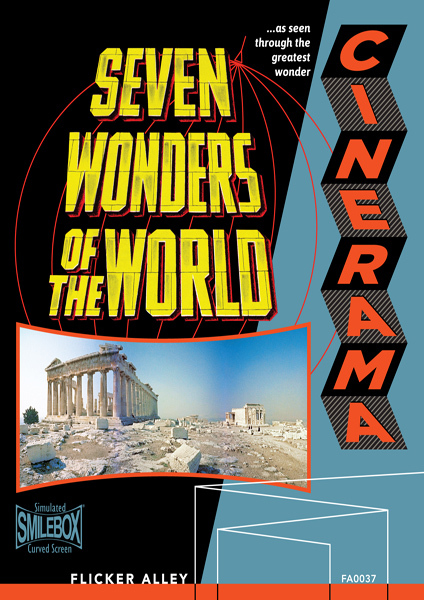 The Cinerama movies were never meant to be great films. They were the IMAX movies of their day, cinematic travelogues meant to wow with their sheer size and scope. Using three screens that wrapped around the audiences, the effect is undeniably impressive. It may lose something in the transition to the small screen, but Flicker Alley's "Smilebox" format allows us to get an idea of what it must have looked like on the massive Cinerama screens, and it's still pretty awesome. Cinematic masterpieces they're not, but they remain a fascinating curiosity of film technology from the 1950s, and Flicker Alley treats them with a historical dignity that is hard not to admire. At long last one of the most beautiful films of all time arrives on Blu-Ray courtesy of the Criterion Collection. There are few more subversive filmmakers in cinematic history than Douglas Sirk, who took stereotypical "women's pictures" and turned them into bold, female empowering, even feminist allegorical dramas that skewered the social mores of the 1950s. Here, Jane Wyman stars as a widow whose relationship with her much younger gardner (Rock Hudson) creates a scandal that rocks the entire town. 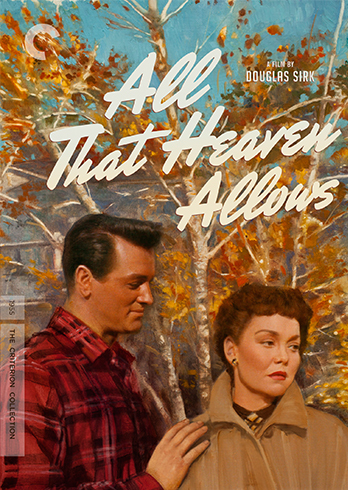 This is Sirk at his very best, a lushly photographed soap opera that cut straight to the core of middle class hypocrisy and judgement, as societal expectations and idle gossip imprison "respectable" people from finding true happiness. Sirk makes the artifice service the theme. Trapped by conspicuous design elements, his characters seem caught in a pristine snow globe of their own design, held in place by invisible (and completely made up) societal walls. It's interesting watching the film in 2014 and seeing the gay allegories under the surface as well. Knowing now who Rock Hudson really was, Wyman's insistence that people should be able to marry whomever they want without any judgement is remarkably prescient (made even more progressive by the fact that it was released in 1955). Having her say the line to Rock Hudson makes it seem even more poignant. It's one of the great Hollywood melodramas, and Criterion's lush transfer is one of the most stunning Blu-Ray experiences of the year. Yet another Criterion triumph from 2014 is also Ingmar Bergman's most overtly avant-garde work. 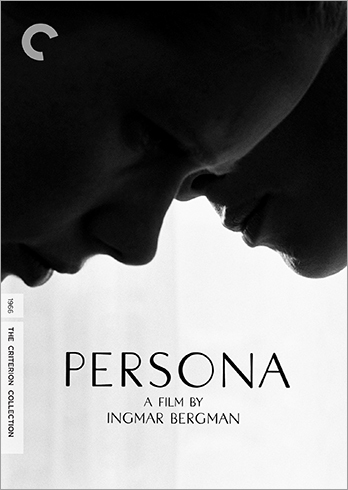 Widely considered his masterpiece (although I'm still a defender of Wild Strawberries), Persona remains a legendary cinematic enigma - a psychologically complex look at two women (or is it just one? ); an actress who suffered a nervous breakdown and no longer speaks, and the nurse tasked with her recovery. The resulting film is an experience like no other, a deeply fascinating exploration of identity, reality, perception, and how they all intersect in works of art. It's certainly a haunting work, featuring stunning use of light and shadow by frequent Bergman collaborator, Sven Nykvist, who lends the film its striking, dreamlike atmosphere. 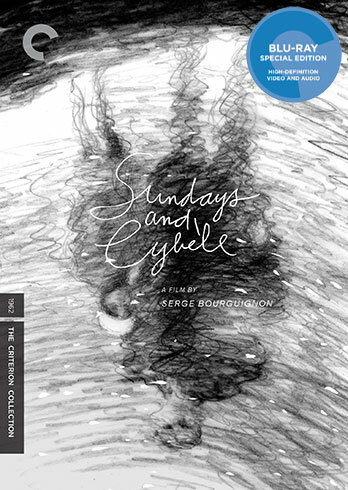 I had never heard of Serge Bourguignon's Sundays and Cybele before Criterion released it on Blu-ray and DVD this year. But now that I have I'll certainly never forget it. Bourguignon once referred to the film as "the story of childhood recovered and childhood regained." It's important to remember that, watching the film through a more modern lens, which could easily skew the film's delicate innocence with accusations of pedophila. The story of the unusual relationship between a damaged war veteran and a 12 year old girl who has been abandoned by her parents, Sundays and Cybele often resembles a love story, a kind of reverse Harold and Maude by way of Forbidden Games. And while it is very much a love story (Cybele often talks of marrying Pierre when she turns 18), it is never anything more than a platonic one; it is a tale of two lost souls who find in each other a kind of tenuous solace. While modern viewers may rightfully feel uncomfortable around such subject matter, the way the film eschews cynicism in favor of a more lyrical innocence (and the way in which such innocence is summarily destroyed by cynicism) is both haunting and heartbreaking. Gorgeously photographed by Henri Decae (The 400 Blows), making it perhaps one of the most beautiful black and white films ever made, and the Criterion Blu-Ray perfectly accentuates its stunning imagery. No other release this year was more visually arresting. 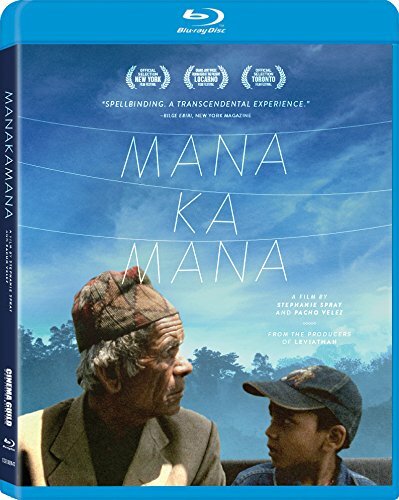 Manakamana may be a film that demands to be seen on the biggest screen possible, but for those who couldn't make it to the theatre, Cinema Guild's Blu-Ray brings Stephanie Spray and Pacho Velez's quietly mesmerizing documentary to breathtaking life. The disc includes some gondola rides that weren't included in the film that prove to be just as engrossing as the ones that did. It's a film that demands our surrender, while offering something other films rarely do - a true escape from our ordinary lives. Here is a film that forces us to take life at a different pace, and the results are something disarmingly spiritual and meditative. There's nothing else out there quite like it. Flicker Alley deserve to be there, although the quality of Search for Paradise would be my choice. Unfortunately the faked Tabs and Lighting totally spoils the effect and being an ex CINERAMA projectionist, certainly in the UK we never presented the movies in this way. Those are the real curtains opening and closing. Its the curtains at the Cinerama Dome in Hollywood. So not fake!! I am also a Cinerama projectionist in the US and thats how its done here and in Bradford UK.